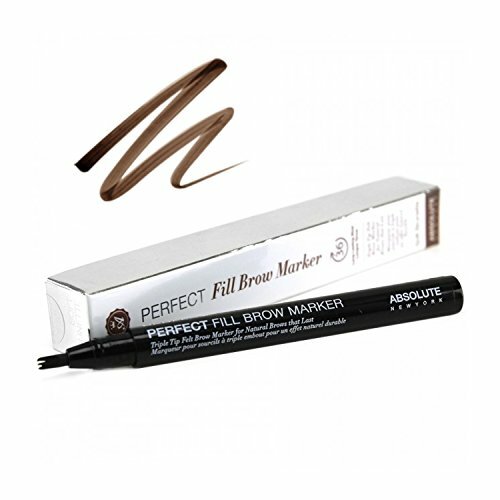 Perfect Fill Brow Marker (Soft Brunette) | Where Do I Go? Sculpt, fill and enhance your brows effortlessly with the innovative peerfect fill brow marker by Absolute New York. The revolutionary triple tip applicator allows the user to create a trio of precise strokes in a single pass – to mimic the appearance of natural brow hair. The quick drying, long-wearing formula clings both skina and hair seamlessly for polished, full arches that last all day.